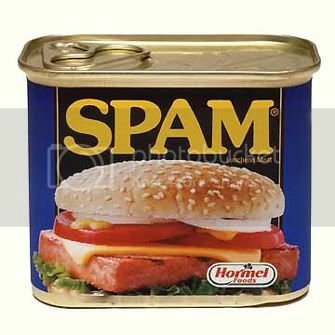 Today we were given our major project brief, this brief involves creating a promotional campaign to bring back SPAM! Many people have a bad view on SPAM, but it is our aim to persuade more people to buy the product, and widen it's target audience. The company itself has already worked in this area by creating an interactive website (http://www.spam.com/) to attract more customers; from recipes, SPAM fun & games and even a SPAM shop; everything from SPAM rain ponchos to snow domes! SO, WHAT IS YOUR VIEW ON SPAM?? ?